' Sunshine Sunday: Assume The Good - Sisters, What! This is a quote I try to live by. Now I'm so far from perfect at it but the days I succeed everything feels so much better. I'm not saying ignore the bad. But if you don't know the full picture or situation assume the good. 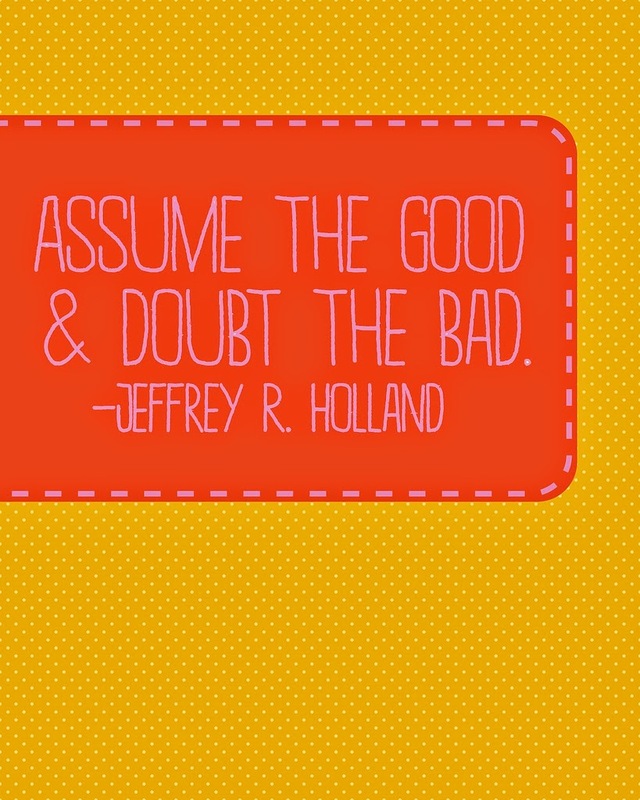 Nothing good comes from assuming bad. I use to be a worst case scenario person and let me tell you, it caused a lot of anxiety, unnecessary anxiety. Just think about how much happier you can be if you assume good. The world is already full of enough hard, bad things. So by assuming good I know that we can each make a difference in making the world a better place, as clique as that sounds. The full quote says, "Think the best of each other, especially of those you say you love. Assume the good and doubt the bad." Why is it that we assume the bad about people we love the most? I for one think it makes life harder and makes relationships harder when we assume bad about people we love. I have felt life feel a little lighter as I have started assuming the good about those around me. As I've assumed the good I've also started to see more good in others. Let us band together and start assuming the good. I've always struggled with this. I sometimes envy people who are just naturally optimistic. It can be hard work not focusing on the negative, but it's worth it! Trish you are so right! It really is hard work, but like everything in life the best never comes easily. Thank you for sharing with us!